So, I met this kid. Ethan Oltremari from Greenwood, Mississippi. More specifically, we started communicating by email as I began to observe how God was using his music ministry in the Mississippi Delta to unite churches of diverse races and cultures. Did I mention … in the Mississippi Delta? Unite … churches … of diverse races … in the Mississippi Delta. So, as Ethan and I upgraded our communications to actual “live” phone calls — it was immediately evident that this ‘kid’ has an anointing on his life and his music. 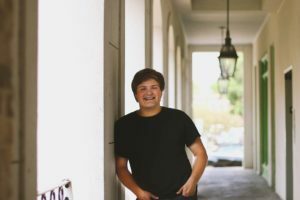 Ethan is a Methodist college student attending Delta State University, leading worship for United Methodist churches and other worship gatherings in his region … and leading a revival movement that has spread across the Yazoo River delta … and, now to the Mississippi Gulf Coast. Ethan and his folks have called it Revival On The River Greenwood. You’ve GOT to see this! If you can go … you must! In December 2018, Ethan and I prayed. He met with his board members in Greenwood, Mississippi and prayed. I prayed with my pastors and a few local friends who love worship and prayer gatherings. We set a date. In a few weeks, we are going to gather at the Point Park Ampitheatre in Pascagoula — my hometown. April 27, 2019 — mark your calendar. COME if you can! We are praying from Greenwood to Pascagoula … that God will do here what He is doing in the Mississippi Delta. It’s spreading to Jackson, Mississippi … and it’s already spread to Tupelo, Mississippi … and to Gulfport, Mississippi … it’s covering our Magnolia State like a contagious positive cancer! UNITY is spreading across Mississippi. LOVE for the ‘other’ is spreading across Mississippi. COMPASSION for the hopeless is spreading across Mississippi. RECONCILIATION is spreading across Mississippi. WORSHIP and PRAYER is spreading across Mississippi. It’s time Mississippi. Revival is HERE!